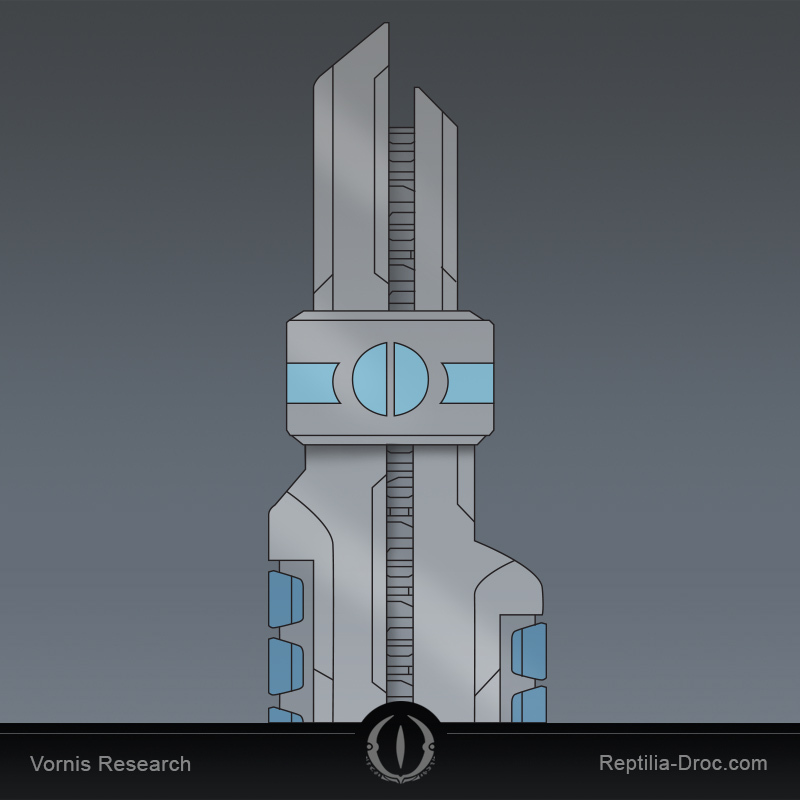 Vornis Research is the experimental technologies branch of the Tydorren Corporation. Their primary facility in the city of Yuhanas Leh was destroyed in a terrorist bombing. The perpetrators were never caught, but officials believe agents of their rival, the Destonie Corporation, were responsible. There are rumors that the facility was in possession of some advanced technology recovered from the Outer Territories. 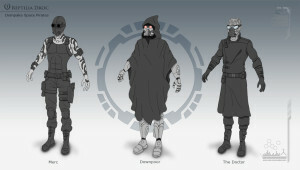 The Dompaka are the largest and most feared of the space pirate clans operating in the Outer Territories. The pirates are a diverse group, assimilating members from every species around the galaxy, the only real requirement of joining is a sufficiently ruthless nature. Rather then using corporate basic, they have their own language pieced together from the various pre-corporate languages of it’s members. The pirates have been known for both scavenging broken down ships, as well as setting up traps to ambush ships traveling along the space lanes. They prefer to attack freighters and sell it’s cargo, but they will also attack passenger ships to rob those aboard. The pirates have an infamous reputation for rapping and murdering those they attack, and rarely leave survivors. With Reptilia Droc attacks on Corporate colonies on the rise, the pirates have have been quick to scavenge the ruins. 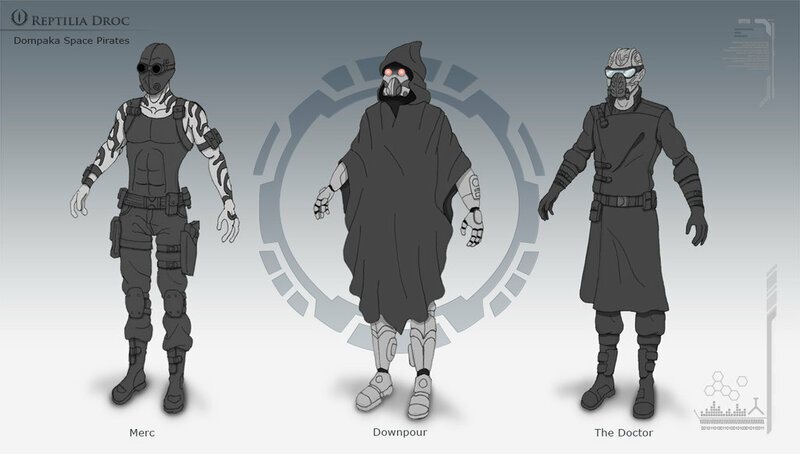 The Kildathe Republic is a minor military dictatorship controlling four star systems in the Outer Territories. 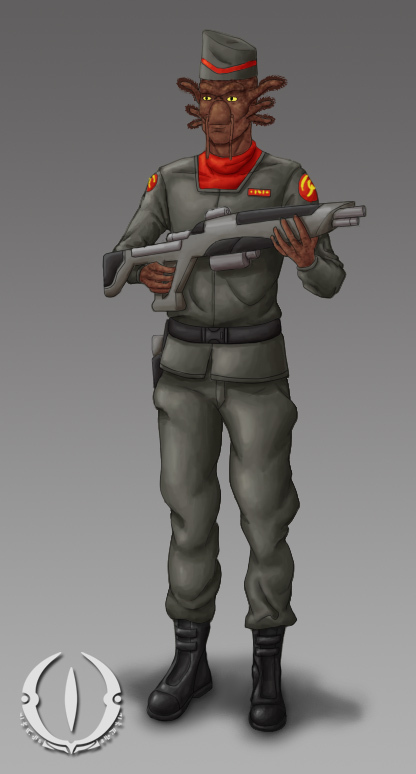 A General named Sagoal took control of the Kildathe system though a coupe, and expanded their territory to include the 3 neighboring unpopulated systems. 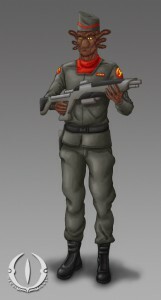 Sagoal uses propaganda about the evils of Conglomerate culture, invented rumors of corporate invasion, and a fleet of generations old battle ships to rule his people with an iron fist. A galaxy Wide system of government that successfully quelled old rivalries and bound the core worlds of the Nexis together. This historic coalition remained stable for nearly 500 years, until diplomatic relations collapsed with an ancient race in far corner of the Nexis, called the Reptilia Droc. This conflict was known as the Great War, and resulted in the fall of the Wei’quin 900 years ago. 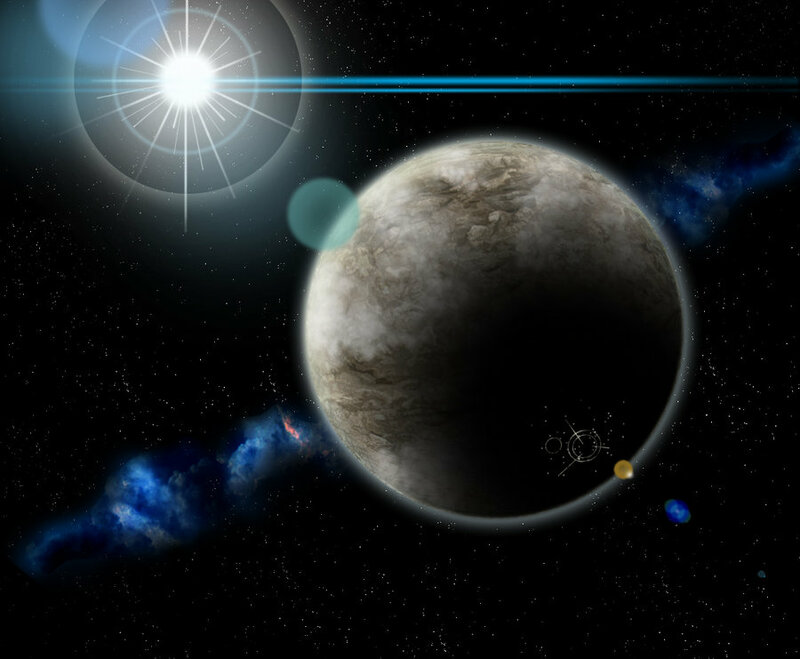 The Korb are new comers to the Nexis galaxy. A nomadic race, their entire civilization is migrating like a swarm of locusts from exhausted feeding grounds. The Korb were first encountered one year prior to the events of the story. They appeared along the Outer Rim territories separating the Conglomerate States and the Reptilia Droc empire. The Korb started out attacking Corporate freighters and Droc patrol ships. The scavenged the cargos and vessels for resources and technology, and devoured the crews for food. Both the Corporations and the Droc attempted to hunt down the raiders, but they used long range ship that would disappear in the surrounding uncharted space. Since their arrival the Korb have increase the scale and frequency of their attacks. They also demonstrated they have larger ships and greater numbers then first estimated. An insectoid race, the Korb operate as a hive collective. Like the Droc, they are classified as Alphas and posses exceptional strength and speed. But craving more then their natural abilities, the Korb have turned to genetic engineering to mold their species into their own gruesome vision of perfection. 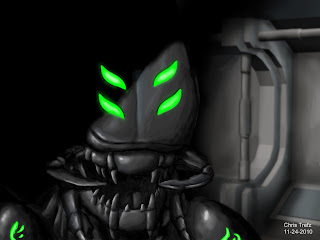 Korb society is made up of hundreds of different sub species, but the most commonly encountered are the fierce warrior drones. 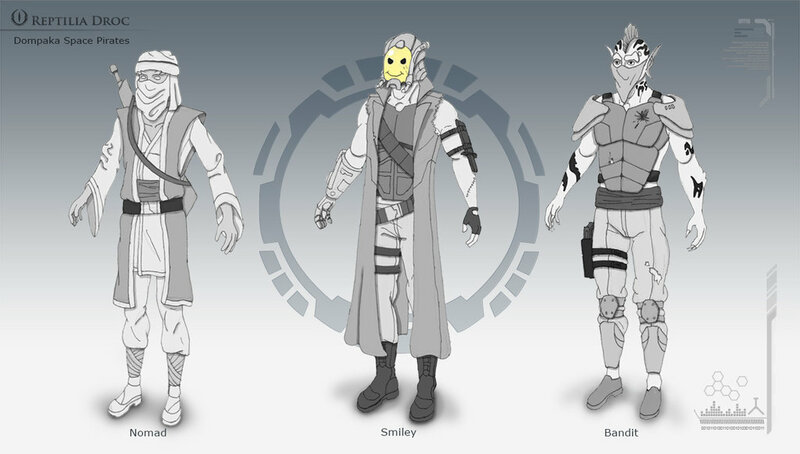 Ranging in variety of terrible shape and sizes, each drone species is tailored for a unique and dangerous fighting style. More about warrior drones here. The Conglomerate States is an industrialized, consumer-based society occupying two-thirds of Nexus galaxy. It contains thousands of life-baring worlds and sentient species. On the surface the Conglomerate States presents themselves as a wealthy utopia, with glass towers reaching towards the sky and the promise of a bright future. But the Conglomerate State are divided among 12 ruling corporations which are constantly at odds with one in other. And beneath the facade of wealth, there is growing threat of poverty, over population, mounting aggression between corporations, and exhaustion of resources. In response the corporations have turned their gaze to the untapped resources of the surrounding Outer Territories as a solution to their problem. 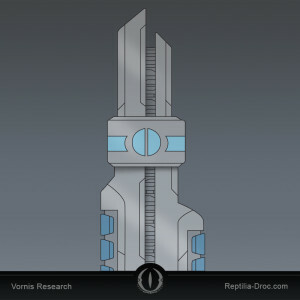 But as the corporation expand outward, they find themselves in a growing confrontation with the Reptilia Droc. Nine hundred years ago, under the united ruler-ship of the Weiquin Empire, the worlds of the Conglomerate States had a glactic-wide war with the Droc. After centuries passed and Droc adopted a policy of isolationism, the history of this war has been largely forgotten and reduced to a legend among public consciousness. But the Droc are still a force to be reckoned with, and clashes over planets in the Outer Territories have lead to severe causalities on the side of the Corporations. For the Corporations, revealing their war with the Droc would reveal just how desperate they have become. So instead the citizens of the Conglomerate State kept in the dark from the mounting problems. Media control, public empathy, political diversion keep the people unaware that their glass castle is cracking. Below is a list of Corporations which have appeared so far. As well as the companies’ main focus, though each corporations own subsidiaries in every facet of life, which the corporate states to be largely independent of each other. Shrouded in mystery, little is know about the Reptilia Droc, except that they are technologically advanced and capable of vicious acts. 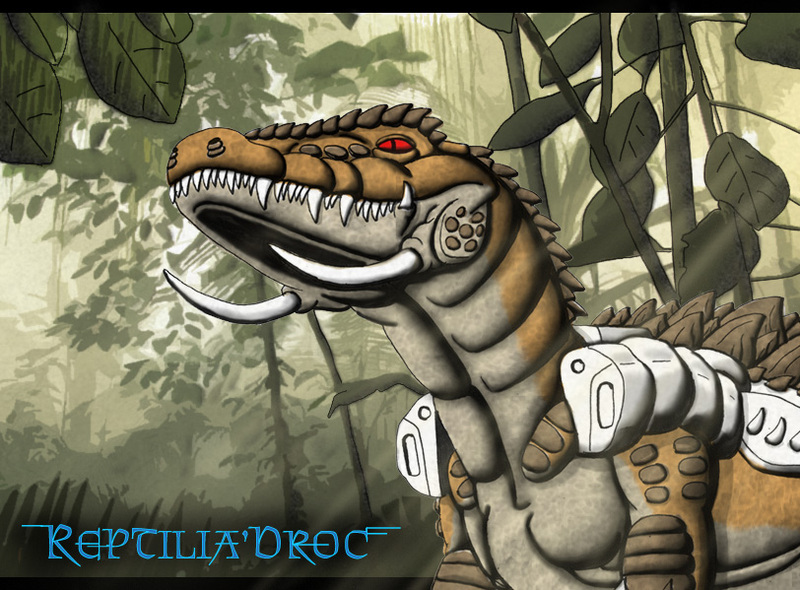 The first recorded encounter with the Reptilia Droc took place 800 years prior to the event of “Scavenger”. When the territory now under the Conglomerate States were ruled by the Weiquien empire. Most of the records of this time period have been lost or destroyed, but it is known that relations between the Weiquin and the Reptilia Droc deteriorated to the point of a galactic wide war. A war the Reptilia Droc won, and reshaped the galaxy. 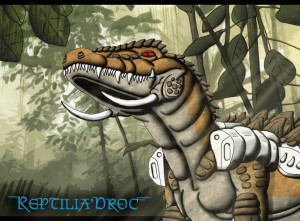 As their name implies, the Droc are a reptilian species. 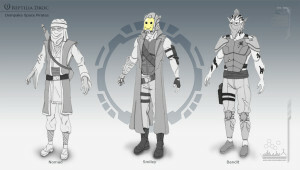 Classified as Alphas, they posses sentient intelligence, mixed with animal strength and senses, creating a potent mix. There are several species making up Droc society, they vary greatly in size and shape. They live by a class system, their role in society decided by their species.